Food. Eating it and making it. Vancouver Community College has become my "go to" place downtown. A coworker has a birthday and I forgot to make a cake? To the Seiffert Market! Fancy lunch- It's JJ's Fine Dining! Need a quick lunch that is sure to be interesting? The Cafeteria! 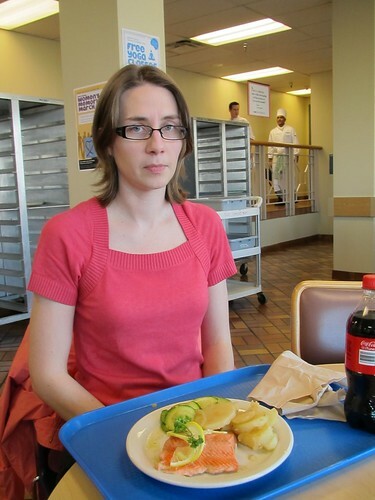 Cafeterias fascinate me. I went to school in a small town in Central Alberta that did not have a cafeteria, unless you count the submarines that the band would sell out of the Home EC room. If you were cool, you went to the Dairy Queen (the only fast food chain in town) for lunch. If you were cooler, you went to the Yellow- the local arcade- to smoke and get high score on Tetris (guess who!) The closest I got to the cafeteria experience was from 80s movies and TV. There are a few sections to the caf. There is a grill where you can get breakfast, burgers, fries etc. They offer a salad bar, take out sushi and on some days an Asian hot lunch counter. The section I go to is the hot entree section where they offer a rotating assortment of mains and sides. The options are listed on a paper menu. Pick your main and then choose THREE sides to go with it. A crazy amount of food. I have only ever taken two sides. It is always a good idea to get there a bit early as they have a finite amount of food and when it is gone, you are out of luck. I usually make it there about 12:15 and have fairly good luck. 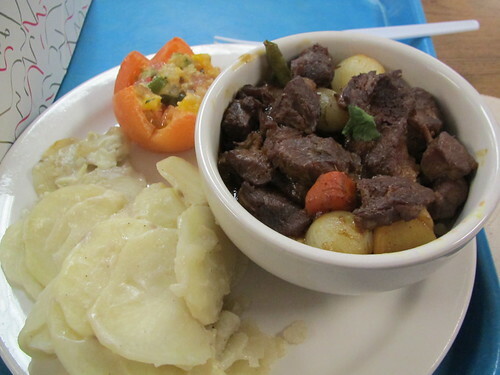 My first trip I chose a lamb stew on Israeli couscous, scalloped potatoes and stuffed tomato. After I paid my $7.00(!- plus tax) I took my tray and headed towards the rows of tables and kids. I was quite pleased to have a Mean Girls moment where I tried to figure out which table was the cool table. I sat down next to a young man who was chatty. Him: Thanks for buying me lunch. Me: Wouldn't that be funny. Him: So, are you a teacher here? Me: You think I look old enough to be a teacher? Him: Aw, you're not that old. Lunch, was hit and miss. The tomato was the most surprisingly yummy thing on the plate. The stuffing was amazingly flavourful and the tomato was not all mushy, but still warm. The lamb was really moist for sitting in a chaffing dish for who knows how long and the couscous was perfect. The miss was the potatoes. They were raw- barely even warm. I wondered if I should go back and tell them, this is supposed to be a learning experience after all, but I didn't. Amazing self restraint for me! It was my coworkers birthday and I did forget to make her a cake. The Seiffert Market offers all the baked goods that the pastry school makes that day. This is the undiscovered gem of the city. Pastries, pies, bread, cookies, tarts all priced so cheaply. They also offer some packaged dinners and whatever meat they were learning to cut that day. I have seen rack of lamb, hamburger, stew meat etc. I do find it funny that the boxes of the same things will have different prices. I guess if your pie looks good they price it higher than the ugly pie. Graded by price point. $5.50! So awesome. The funniest part was that we went to cut into it and the base turned out to be some type of hard cookie that had a layer of hardened chocolate. 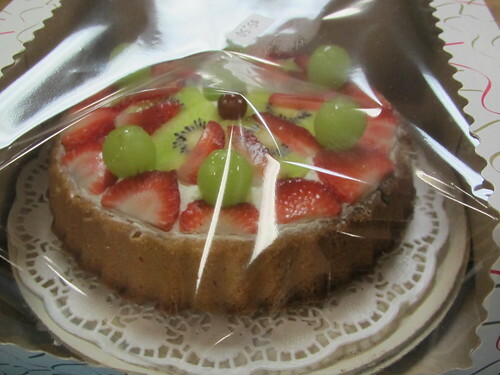 The filling was whipped cream with some fruit slices on top. Not at all what I thought it was, but it was great. I have also picked up a box of eclairs that have no picture as we ate them too quickly. A second trip to the cafeteria with Cristina! I went through the line first and ended up getting the last of everything that she also wanted. For some reason, I found this much more amusing than she did. 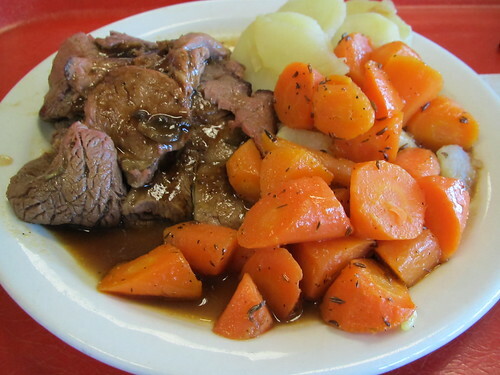 I had the roast beef with jus (they had run out of Yorkshire), carrots and potatoes. It was great! I was again surprised with how moist and well cooked the beef was after sitting in the service area. The carrots were buttery and seasoned well and I was happy that this batch of potatoes were cooked. A win for me! 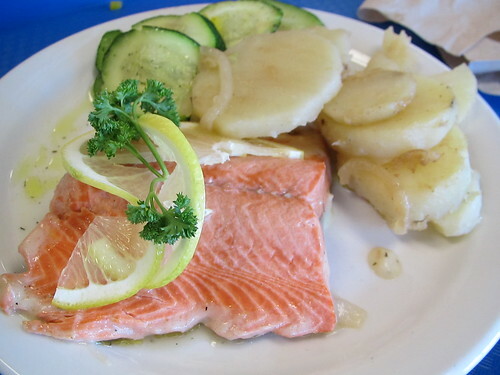 Cristina went for salmon with a lemon sauce, zucchini and the potatoes. She really enjoyed her lunch and said the salmon was well cooked. I was happy that she ended up with the zucchini. 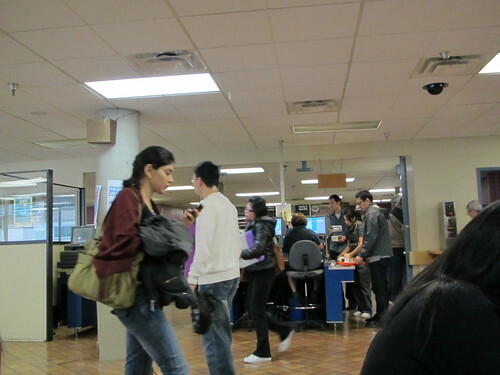 I love the lunch adventure that the Vancouver Community College offers and will be back for more! You may see me there one day. I will be the old lady with the headphones at the cool table. I love food. Well, it is love/hate. I have more pictures of food that I ate on vacation than I do for places I have been. I have watched every season of Top Chef at least 3 times, even the Katie Lee Joel season. I have a lifetime membership with Jenny Craig. Mamak Malaysian Cafe- In Pub 340! This is not the blog you are looking for!